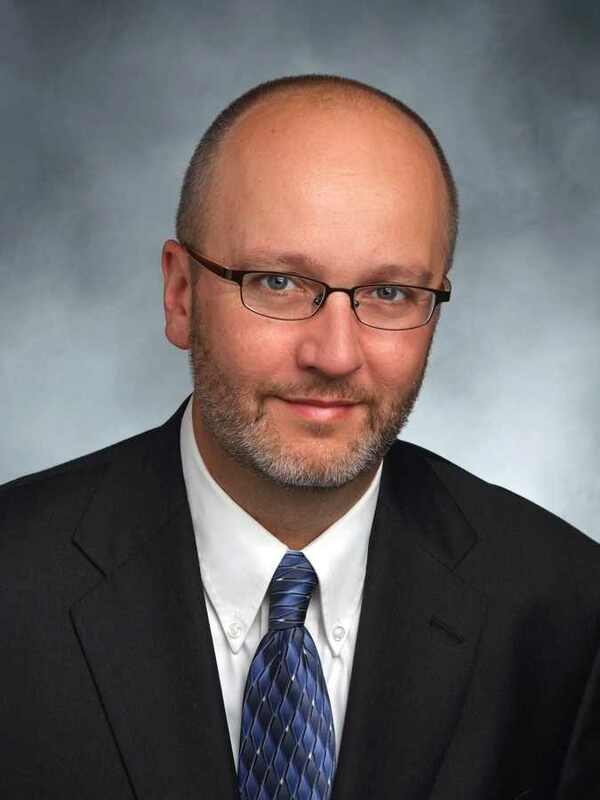 James Ketterer (GSAS '90) is the Country Director in Egypt for an nonprofit organization that improves educational opportunities in the Middle East and North Africa. James recently reached out to us with this inspiring guest blog post about his efforts to provide opportunities to Egyptians and Americans studying in Egypt, and how his time at NYU influenced his current work focus. I graduated in 1990 from GSAS with a Master’s in Near Eastern Studies. Since then I have worked in government, higher education and international development. I have also lived and worked overseas, especially the Middle East and Africa. I am currently the country director in Egypt for AMIDEAST, an American educational organization focused on international education, training and cultural affairs, with offices across the Middle East. AMIDEAST/Egypt administers scholarships and exchange programs that send Egyptians to the U.S. for study and professional training; has study abroad programs that bring Americans to Egypt; teaches English language; offers standardized tests (like SAT and TOEFL); and, carries out cultural programs. We work closely with the U.S. and Egyptian governments as well as corporate sponsors and international organizations. The revolutions, regime changes and unrest that began in Tunisia in late 2010 and spread across the region have increased the need for the kind of programs AMIDEAST offers. The current economic challenges in Egypt, for example, mean more young people are seeking language and professional skills training that will give them an edge in the job market. And an increasing number of Egyptians come to AMIDEAST for our college advising services through our EducationUSA program via the U.S. State Department. At the same time, refugees have arrived in Egypt from Syria, Libya, Iraq, Sudan and we are working to provide them with educational opportunities. 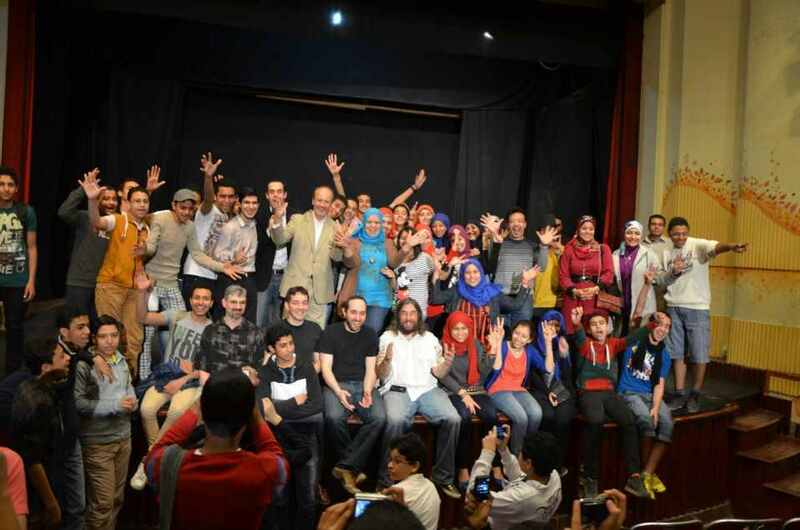 Cultural programming is also important in building bridges between the U.S. and Egypt. This past month, for example, AMIDEAST/Egypt hosted a jazz quartet from New York – the Arch Stanton Quartet. 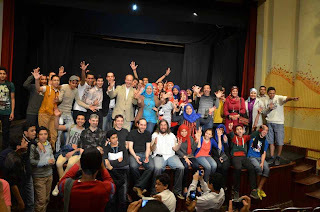 The band played at the Cairo International Jazz Festival, the American University in Cairo (AUC) and in Alexandria. In addition to the performances we also carried out workshops on jazz composition and cultural diplomacy to students at AUC and Egyptian high school students. And several months ago, Tom Healy, a professor of creative writing at NYU and chair of the Fulbright Foreign Scholarship Board, gave a poetry workshop to our students in Cairo. These programs are a reminder of the power of the arts to create connections and inspire imaginations, even amid the tumult of the current political situation. My time at NYU prepared me to deal with the many aspects of my work, here in Egypt and in previous jobs. The interdisciplinary nature of the program in Near Eastern Studies allowed me to take courses in language, history, politics and at the Institute of Fine Arts. The faculty was excellent and I stay in touch with several of the classmates I studied with in the Kevorkian Center. One of them, Elwi Captan, lives in my neighborhood in Cairo. The connections to Washington Square are still an important part of my work and life.